To start this study, here is Matthew 7:12, where it says, Therefore all things whatsoever ye would that men should do to you, do ye even so to them: for this is the law and the prophets. This is a study of "The Golden Rule" and "The Golden Mercy Seat". First let us read from Exodus 25:17, where it says, "And thou shalt make a mercy seat of pure gold; two cubits and a half the length thereof, and a cubit and a half the breadth thereof. And thou shalt make two cherubim of gold.". Next let's read Exodus 26:34, where it says, "And thou shalt put the mercy seat upon the Ark of the Testimony in the most Holy Place." Now we read Leviticus 16:15, where it says, "Then shall he kill the goat of the sin offering, that is for the people, and bring his blood within the veil, and do with that blood as he did with the blood of the bullock, and sprinkle it upon the mercy seat, and before the mercy seat". And now Exodus 22:25, where it says, "And there I will meet with thee, and I will commune with thee from above the mercy seat, from between the two cherubim which are upon the ark of the testimony, of all things which I will give thee in commandment unto the children of Israel". The mercy seat was NOT UNDER the Law, but the Law was under it. God is both just and the Justifier. Romans 3:24-26. We know that Matthew 7:12 has been called "The Golden Rule". But now, concerning the Golden Rule, note the statement where Christ says, "This is the Law." OK...now, with this let us read Galatians 3:10, where it says that the curse of God upon those UNDER the Law. 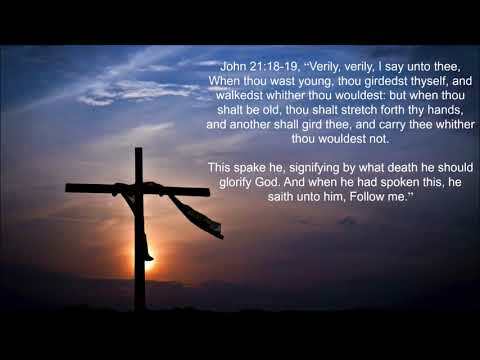 Referring to the Law, note what the Apostle Peter said to his fellow disciples in Acts 15:10, "Why tempt ye God to put a yoke on the necks of the disciples which neither our fathers nor we were able to bear?" And now look at James 2:10, "For whosoever shall keep the WHOLE Law, and yet offend in ONE point, he is guilty of ALL." Then concerning the Law note what the Apostle Paul said in Romans 7, "For what I WOULD, that do I NOT; but what I HATE, that I DO. For the good that I WOULD I do not: but the evil which I would NOT, THAT I do. Now if I DO that I would not, it is no more I that do it, but sin that dwelleth in me". Because of inherent, indwelling sin the natural man is not subject to the Law of God. However, the spiritual man, by the Law of the Spirit of life, CAN WALK in the Spirit and FULFILL the righteousness of the Law. Romans 8:4. 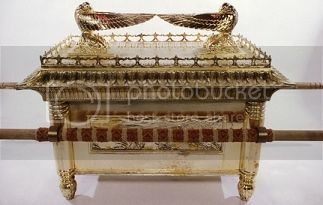 We read in Exodus 26:34 that the mercy seat of pure gold was placed ON TOP of the ark. The Ten Commandments, the Law, was placed IN the ark. This was not by accident! And, the ark and the mercy seat were behind the veil, in the most holy place in the tabernacle. Note Hebrews 9:7 where it says, "But into the second went the high priest ALONE once every year, not without blood, which he offered for himself and for the errors of the people". Christ entered within the veil (in Heaven) by His Blood. Hebrews 9:12. God is Just and the Justifier of every one who trusts in the blood propitiation of Jesus Christ. Romans 3:24-27. The Law is just. Romans 7:12. True justice knows no mercy. But because of Christ and Calvary, God can be just and merciful and do what He could not do by the deeds of the Law, which is to justify the believing Law-breaker. Romans 3:19-20; Romans 8:3; Acts 13:39. Remember the Law was UNDER the golden mercy seat. The Law worketh wrath. Romans 4:15. The Golden Rule is the Law. Christ made peace through the blood of His cross. Colossians 1:20. Read Galatians 2:21 and Galatians 3:21. The Law condemned the Pharisee. The blood sprinkled mercy seat justified the publican, who went down justified. Luke 18:10-14. The Law is the ministration of condemnation. 2 Corinthians 3:9. Believers are justified by the Blood of Christ. Romans 5:7-10. In Christ Jesus there is no condemnation. Romans 8:1; Romans 8:32-35; John 3:18. The place of safety is not under the Law, but under the Blood...and under Grace...Romans 6:14...IN Christ. Just THINK of the foolish, religious person who prefers "under the Law" TO "in Christ". Then think of those who have been to the blood sprinkled mercy seat (Calvary) and there received the Divine Nature and now want to keep the Golden Rule by yielding to the Law of the Spirit of life in Christ Jesus and obeying Romans 8:4. Sinners, though moral, religious, conscientious, and sincere, can NOT get near to Salvation and Heaven by struggling with or following the Golden Rule. The blood sprinkled mercy seat is FIRST. 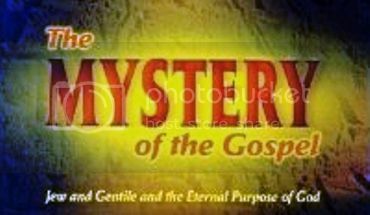 Members of the Body of Christ are the Church of the Mystery. A secret that was hid in God. His Body, to be to be joined with its Head, called home at the Rapture, the GLORIOUS meeting in the air, before the "Day of the LORD" begins. 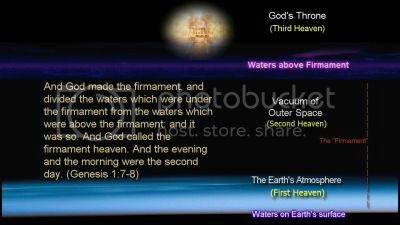 In Revelation 21 we have the New Heaven and the New Earth; we have the Twelve Tribes of Israel; and Twelve Apostles of the Lamb. So, we have to ask, What has all this to do with the Body of Christ, the Church of the Mystery? OBVIOUSLY this has to do only and solely with the Holy City and with the Bride of the Lamb. Christians, in their selfishness, intrude themselves into the place of others as the Bride, and thus lose the blessed enjoyment of their own place which is theirs as part of the Bridegroom! The Bride and the Bridegroom, though in a sense are one, are yet distinct. And it is clear from all the scriptures relating to the Mystery, that the members of Christ's Body are part of the Bridegroom Himself. Whereas the elect Old Testament saints will form the Bride. See Isaiah 12:6, "Cry out and shout, thou Inhabitress of Zion: For great is the Holy One of Israel in the midst of thee." 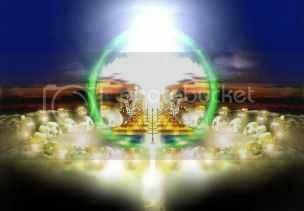 In Revelation 22:3, we read "The throne of God and of the Lamb shall be in it." Of the glory of this Holy City other scriptures speak. Take a look at Isaiah 60:3, Isaiah 60:14, 1and Isaiah 60:9-20; Revelation 21:23-24, and Revelation 21:27; Isaiah 54:11-12. True, the Apostle Paul might address the saints concerning his desire to present them "as a chaste virgin to Christ" (2 Cor. 11:2). But this no more declares that the Church IS the Bride of Christ than that the Apostle himself was their father (1 Corinthians 4:15); or that he was their mother (Galatians 4:19). In the one case he spoke of the painful anxiety of a mother; in another of the loving care of a father; while, in 2 Cor. 11:2, he spoke of the jealousy of the friend of a bridegroom. The "Mystery" was a totally different thing. Then in Ephesians 4:28-29, the argument is that husbands "ought to love their wives as their own bodies. He that loveth his wife loveth himself, for no man ever yet hated his own flesh; but nourisheth and cherisheth it, even as the Lord, the Church, for we are members of His Body," That is, AS Christ loves HIS OWN BODY (Himself (the Head) and the Church (the Head's Body)); so ought husbands to love their wives. Thus "the Mystery" is employed as an argument as to the reciprocal duties of husbands and wives. In NEITHER case is it said that the Church IS the wife, or that Christ IS the husband. But that AS Christ loves His Body (Himself and the Body of Christ), SO husbands ought to love their own bodies (that is, themselves and their wives). The one thing that is clear, is that the Church of the Mystery is the Body of Christ; and that the members of that Body being "in Christ," are PART OF THE BRIDEGROOM. They cannot possibly, therefore, be the Bride herself as separate and distinct from the Bridegroom. Another thing that is certain is that the mystery of the Church was not revealed in the Old Testament, but was "hid in God" (Ephesians 3:9) and "kept secret" (Romans 16:25); "hid from ages and from generations" (Colossians 1;26). Before Israel was created for God's glory, before all of the promises concerning Israel's coming glory and the millennial reign of Christ on earth, even, before Adam had sinned, or was created, God PREDESTINATED that members of the Body of Christ should be conformed to the image of His Son. (Romans 8:28-29). 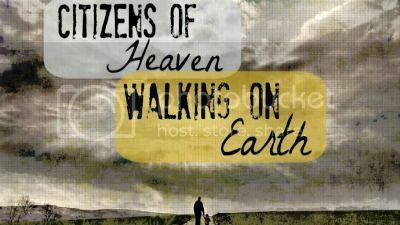 They would be SEATED in the Heavenlies in Christ. God's eternal purpose is to have a company of redeemed sinners SEPERATE and DISTINCT from ALL OTHER companies. Dwell on this. These predestinated and justified believers are to be JOINED to Christ as ONE flesh, to make ONE New Man, the Perfect Man, with HEAVENLY citizenship, to appear with Christ in glory. (Ephesians 2:6; Ephesians 5:31-32; Ephesians 2:5; Ephesians 4:13; Philippians 3:20-21; Colossians 3:1-4). THIS the Father wants every Christian to make known (Ephesians 3:9). And, of course, Satan hates this message with a vicious hatred. It is one thing to see an illustration of the Church in the Old Testament; but it is quite another thing to say that this is there revealed, which God distinctly declares was not revealed! At the First Resurrection, following Christ's return to the earth in power and great glory, those of the Heavenly Calling will be resurrected, made ready as a Bride, to be married to Christ, both Head and Body, (the Body which was Raptured, and united in glory with the Head prior to the going forth of the Antichrist). THIS will be the time of the Marriage Supper of the Lamb. 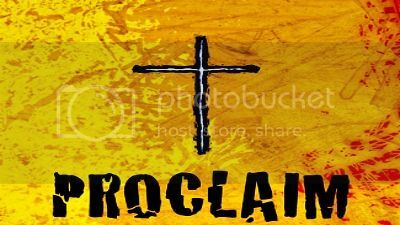 Some may suppose that it would require little boldness today to proclaim the Grace of God in all its purity. Who is ever persecuted now, at least in free, “enlightened lands”, for preaching God's Grace? Ah, but do not be deceived. Satan was no less active in his opposition to the truth when Constantine exalted the professing Church to prominence than when his predecessors persecuted the Church and sent its members to death by fire and sword. Indeed, the devil was doubtless more successful in Constantine's day than he had been when persecution raged. Does any believer in the Word of God suppose that Satan has relented in his opposition to the truth today, just because men, at least in this land, are not burned at the stake or thrown to the lions? Do not be misled. Satan's enmity against God and against His Word continues undiminished. His hatred of "the Gospel of the Grace of God," is as bitter, and his opposition to it as determined as it ever was. AND, well does he know that the constant discouragements connected with being in the minority often succeed in silencing those who would stand against physical persecution. Today Satan uses the new evangelicalism with its highly- organized highly-financed campaigns, and its woeful lack of doctrinal and dispensational teaching of the Word…to neutralize the saints. Multitudes are attracted to these neo-evangelical extravaganzas, at which the participants are for the most part performers, and those who stand for the truth often feel very small as compared to the vast unthinking majority. But let us never forget that God uses "things that are not" to accomplish His work (1 Corinthians 1:26-29). Let us, who know and love the truth, then, determine by God's Grace that nothing shall make us unfaithful to our glorious commission; that, whatever the cost, we shall faithfully and boldly proclaim to others the unadulterated Gospel of the Grace of God, "the preaching of Jesus Christ, according to the revelation of the mystery." This so-called god that is being pushed everywhere today no more resembles the Almighty God, The Supreme Sovereign of Holy Scripture than does the light from a candle to that of the sun. This so-called god who is now talked about from most pulpits, spoken of in most Sunday Schools, mentioned in most of the religious books and literature of today, is a figment of man’s imagination. LOOK, THERE IS NO OTHER POSSIBLE ALTERNATIVE BETWEEN AN ABSOLUTE SUPREME GOD...AND...NO GOD AT ALL! A "god" whose will is resisted, whose plans are frustrated, and whose purpose is checkmated, possesses no title to Deity, and FAR FROM BEING THE RIGHT OBJECT OF WORSHIP, MERITS NOTHING BUT CONTEMPT! This is NOT the GOD of the Bible. The God of the Holy Bible, "the great God and our Saviour, Jesus Christ" (Titus 2:13), is Absolutely Supreme and A TOTAL SOVEREIGN! This is MY GOD!!! What do Mormons ACTUALLY believe? Are Mormons real bible Believing Christians OR are they a Cult? Watch this and learn. Just before the LORD Jesus closed His ministry on earth He said to His disciples, “if the world hate you, ye know that it hated Me before it hated you. if ye were of the world, the world would love its own; but because ye are not of the world, but I have chosen you out of the world, therefore the world hateth you.” (John 15:18-19). “I have spoken unto you that ‘IN ME’ ye might have peace. In the world ye shall have tribulation: but be of good cheer: I have overcome the world.” (John 16:33). Then Christ said concerning His disciples, in His prayer to His Father, “THEY ARE NOT OF THE WORLD, even as I am not of the world.” (John 17:16). Meditate on that verse for a few moments and try to grasp what the LORD is saying. It would seem from these words of the LORD Jesus Christ that Christians would know that the term ‘worldly Christian’ seems to be paradoxical. Note how the world is described in 1 John 2:16, “All that is in the world, the lust of the flesh, and the lust of the eyes, and the pride of life, is NOT of the Father, but is of the world. And the world passeth away, and the lust thereof: but he that doeth the will of God abideth Forever.” Therefore Christians are instructed, in 1 John 2:15, “love not the world, neither the things in the world: if any man love the world, the love of the Father is not in him.” “The friendship of the world is enmity with God, whosoever therefore will be a friend of the world is the enemy of God.” (James 4:4). The unsaved person is said to walk ‘according to the course of this world’. (Ephesians 2:2). God thus instructs the saved person: “be not conformed to this world.” (Romans 12:2). In Colossians 3, God explains to the Christian the meaning of Christ’s words in the seventeenth chapter of John, that the Christian is ‘IN THE WORLD’; but is ‘NOT OF THE WORLD’. Every Christian should read Colossians 3 at least one thousand times, and then by God’s all-sufficient Grace and almighty power, try to obey the command, “be ye doers of the Word and not hearers only.” There is no higher spiritual truth in the entire Bible than in Colossians 3, which begins, ”if ye then be raised with Christ, seek those things which are above where Christ sitteth on the right hand of God. Set your affections on things above, NOT on things on the earth, Put to death therefore your members upon the earth”. After mentioning some of the sinful habits that are to be put away, these words of warning are added: “for which things’s sake the wrath of God cometh on the children of disobedience.” (Colossians 3:6). Note in this same Epistle to the Christians, or saints, what the LORD’s spiritual leaders wished for all of the Christians, and that for which they prayed fervently: “that ye may stand perfect and complete in all the will of God” (Colossians 4:12)…“that ye might be filled with the knowledge of God’s will, in all wisdom and spiritual understanding, that ye might walk worthy of the LORD unto all pleasing, being fruitful in every good work, and increasing in the knowledge of God.” (Colossians 1:9-10). There are many attributes of God which humanity does not possess...such as the fact that He is eternal, omnipotent, omniscient, omnipresent, perfect, incomprehensible, infinite, etc. There are also attributes of God that can be reflected in the lives of believers, His love, mercy, justice, kindness, longsuffering, faithfulness, humility, etc. One of the outstanding characteristics of God (which humanity imperfectly reflects from time to time through the control of the Holy Spirit) is the matter of His Faithfulness. Proverbs 20:6 says, "Most men will proclaim every one his own goodness: but a faithful man who can find?" It is indeed a rarity. Moses, however, was called "faithful in all his house, as a servant" Hebrews 3:5, and Hanani, the brother of Nehemiah in Nehemiah 7:2 was called "a faithful man, and feared God above many." Of course, the Messiah of Israel, our blessed LORD Jesus was "faithful to Him that appointed Him" according to Hebrews 3:2. 1. His CALLING reveals His faithfulness! 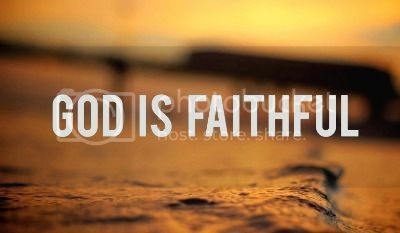 1 Thessalonians 5:24 says, "Faithful is He that calleth you." 1 Corinthians 1:9 adds, "God is faithful, by Whom ye were called unto the fellowship of His Jesus Christ our Lord." 2. His COMPASSION reveals His faithfulness! Lamentations 3:22-23 says, "It is of the LORD's mercies that we are not consumed, because His compassions fail not. They are new every morning: great is Thy faithfulness!" Hebrews 2:17 says of Christ, "Wherefore in all things it behooved Him to be made like unto His brethren, that He might be a merciful and faithful High Priest in things pertaining to God, to make reconciliation for the sins of the people." 3. His COVENANT reveals His faithfulness! Deuteronomy 7:9 teaches the real reasons behind God's choice of Israel as a "special people...above all people that are upon the face of the earth" and says, "Know therefore that the LORD thy God, He is God, the faithful God, which keepeth covenant and mercy with them that love Him and keep His commandments to a thousand generations." Psalm 89:1 speaks of the faithfulness of God, and in Psalm 89:8 we read, "O LORD God of hosts, who is a strong LORD like unto Thee? Or to Thy faithfulness round about Thee?" In Psalm 89:33-34 the Bible says, "Nevertheless My lovingkindness will I not utterly take from him, nor suffer My faithfulness to fail. My covenant will I not break, nor alter the thing that is gone out of My lips." 4. His CHARACTER exalts His faithfulness! Psalm 119:86 says, "All Thy commandments are faithful" and verse Psalm119:90 adds, "Thy faithfulness is unto all generations." Psalm 119:138 says, "The testimonies that Thou hast commanded are righteous and very faithful." (1) He will FORGIVE our sins! 1 John 1:9 says, "If we confess our sins, HE IS FAITHFUL and just to forgive us our sins and to cleanse us from all unrighteousness." (2) He will HELP us in our trials! 1 Corinthians 10:13 tells us, "There hath no temptation (or trial) taken you but such as is common to man: but GOD IS FAITHFUL, Who will not suffer you to be tempted (tested) above that ye are able; but will with the temptation (trial) also make a way to escape, that ye may be able to bear it." Psalm 119:75 adds, "and that Thou in faithfulness hast afflicted me." Psalm 143:1 says, "Hear my prayer, O LORD, give ear to my supplications: in Thy faithfulness answer me." (3) He will PROTECT us from the evil one! 2 Thessalonians 3:3 says, "But THE LORD IS FAITHFUL, Who shall stablish you, and keep you from evil (one)." (4) He will KEEP His promises to us! Hebrews 10:23, "Let us hold fast the profession of our faith without wavering; for HE IS FAITHFUL that promised." Hebrews 11:11 says of Sara, "Through faith also Sara herself received strength to conceive seed, and was delivered of a child when she was past age, because she judged Him faithful Who had promised." One of the great hymns that believers enjoy is "GREAT IS THY FAITHFULNESS"
Great is Thy faithfulness, O God my Father. There is no shadow of turning with Thee. Thou changest not Thy compassions, they fail not. As Thou hast been, Thou forever wilt be! GREAT IS THY FAITHFULNESS! GREAT IS THY FAITHFULNESS! Morning by morning new mercies I see! All I have needed Thy hand hath provided; GREAT IS THY FAITHFULNESS, Lord, unto me!